7 Tips on Living With RSD/CRPS - Piedmont Physical Medicine & Rehabilitation, P.A. If you or a loved one is suffering from Reflex Sympathetic Dystrophy or Chronic Regional Pain Syndrome (RSD/CRPS), then you know that getting up in the morning, day to day, isn’t always easy. A doctor can give you a diagnosis, some resources, and advise you to see a pain management specialist, but they won’t tell you how life changing this diagnosis can be or all the other things that RSD/CRPS sufferers may experience. This is not because the doctor is withholding information, but because the diagnosis is a difficult one and most doctors are not that familiar with all of the aspects of it. 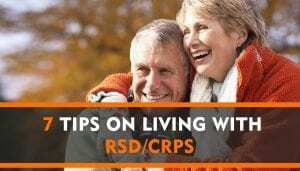 There is no guide on how to live with RSD/CRPS, because every case is unique, but we can offer a few tips that might help with daily routines and activities. Stress and tension make everything worse. Since the same system that controls fight or flight is involved with RSD/CRPS, anything that ramps you up also feeds the RSD/CRPS and only makes the symptoms worse. Common stress management tools that can be effective include: breathing exercises – focused breathing to manage tension can be highly effective. Get plenty on rest and restorative sleep. And if you need counseling, then get it; toughing it out does not work, and having a support team can be very beneficial. You might not feel in the mood to be active, but light to moderate exercise a few times a week can help you manage your pain and retain your strength. Stretching, walking, myofascial release, and restorative therapies are all forms of beneficial activity. If you commit to physical therapy, make sure to find a therapist who has experience working with RSD/CRPS patients. 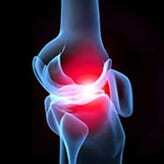 RSD/CRPS pain symptoms may be worsened by what otherwise might seem to be minimal. For example, being in a moving car, sitting near an air conditioning vent or even listening to live music can intensify pain. 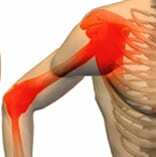 Vibration, drafts and changing weather fronts can all cause in increase in pain as well. With RSD/CRPS the slightest sensations can have a large impact on pain and how you physically feel. In general things that keep you warm will help. Since RSD/CRPS reduces blood flow to the skin most things that increase blood flow can help you feel better. This might include setting your thermostat up higher at home, taking a warm bath (Epsom salts help too! ), or taking supplements like magnesium citrate that can relax blood vessels and enhance blood flow. While it is always a good idea to eat properly, choosing the right foods can make a big difference in RSD/CRPS. In general avoiding foods that decrease blood flow such as coffee and chocolate is a good idea. If you know you have food allergies to night shade vegetables such as tomatoes, white potatoes, and eggplant, or to gluten or lactose, then it is a good idea to avoid them. Anything that challenges your immune system can also worsen your overall condition. There may be times when you want to push yourself a little bit farther, and accomplish a little more, even if you don’t feel quite up to it, but don’t overdo it. It is a much better to pace yourself. Keep in mind that how you feel at the moment is not the whole story. For example, there may be a cold or rain front on the way and pushing yourself just before it gets here will likely turn out to be a bad idea. Don’t feel defeated or down if you can’t vacuum or finish your laundry on any given day. Accept that you may have good and bad days, so just do what you can, when you can. Most of us have things that we enjoy. Many of us search for meaning or a greater purpose. Living with chronic pain can make it hard to appreciate either of these things. Nonetheless, if you can learn to live with RSD/CRPS that it doesn’t control your life (and not vice versa) then you may find it much easier to do the things you enjoy. As strange as it may seem, in many cases, RSD/CRPS can give you the tools needed to help others or to empower yourself. This often requires insight training, however if you find a way to make your RSD/CRPS give you purpose, you likely will find living with it easier. Taking up a hobby can be another great way to keep your mind off the pain. Challenge yourself to a puzzle, get a pet, or having some mobile games uploaded on your phone are other easy ways to distract you from the pain. Once you have found a doctor that can help you with your RSD/CRPS symptoms then keep up a good relationship. A good relationship with your doctor can be invaluable. They are not there to judge you, so don’t be afraid or embarrassed to tell them your symptoms or habits. Being open and honest with your practitioner can help you improve your condition. Getting to know your body and how your RSD/CRPS affects you is important. Think of your RSD/CRPS as cohabitating your body with you. Make decisions that keep you in charge and take care of yourself – don’t forget to pay attention to those things that affect how you feel and maintain and happy lifestyle. At Piedmont Physical Medicine and Rehabilitation, we never want you to feel alone on this journey. If you have or know some who has RSD/CRPS, then please call us at 864-235-1834 or contact us here.